My chicken, Flo, has white inner ear flap things. She’s had them forever (well around the 6 months of her life so far) and seems fine in herself. Her fellow friends have normal looking ear flappy bits, all red and flappy. Flo though has a flat ear-flap, with a raised outter edge and a white center. The white part almost looks powdery. 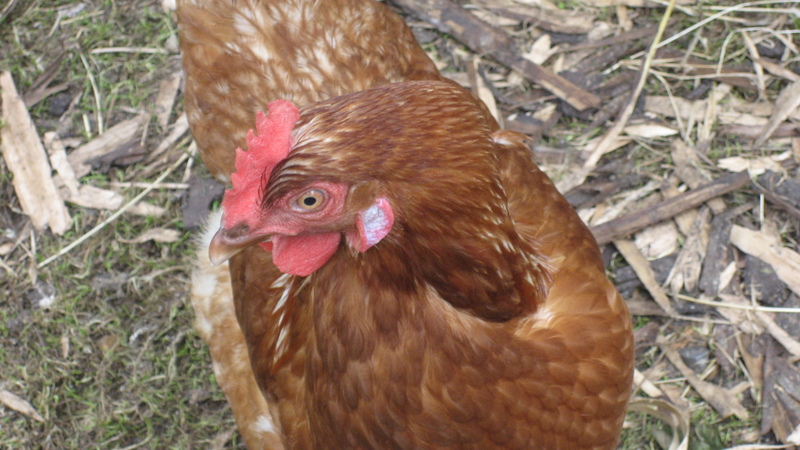 I heard that the colour of a chicken’s earlobes determines the colour of the eggs they will lay, as it’s controlled by the same gene – does Flo lay white eggs?